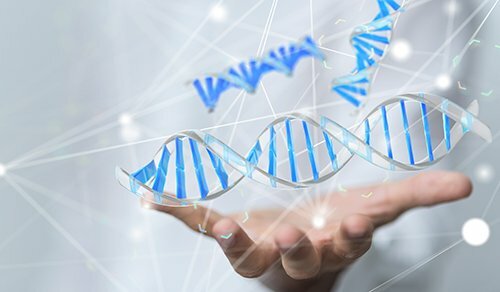 Human mesenchymal stem cells (hMSCs) are multipotent and found in multiple areas of the body including bone marrow, skeletal muscle, dermis, and blood. The cells are known for their ease of isolation and ability to differentiate and mature into multiple lineages including adipocytes, chondrocytes, and osteocytes. hMSCs also play a critical role in adult tissue repair, therefore are of great interest in tissue engineering applications. For example, as adult cartilage cannot repair itself, chondrocytederived hMSCs may be used for cartilage repair applications, and in fact, transplantation of spheroidal chondrocytes is already being studied as a treatment for hip joint cartilage defects1. Initial hMSC experimentation involved two-dimensional (2D) cell culture in a monolayer. However, culturing the cells in this manner results in a loss of replicative ability, and differentiation capability over time2,3. A number of techniques to culture hMSCs in a three-dimensional (3D) format were then incorporated, such as pellet and micromass culture4,5. 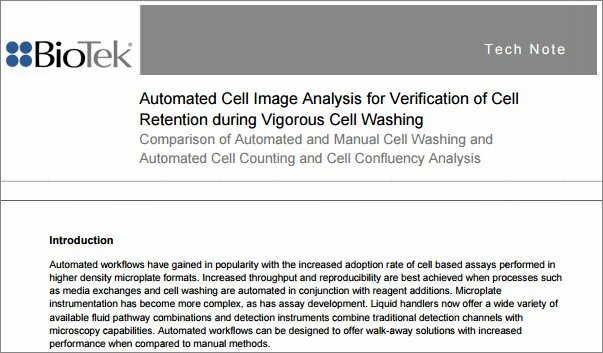 These methods better exemplified the differentiation process, but disadvantages included requiring large numbers of cells, difficult manual processing steps, and a high overall cost per method. 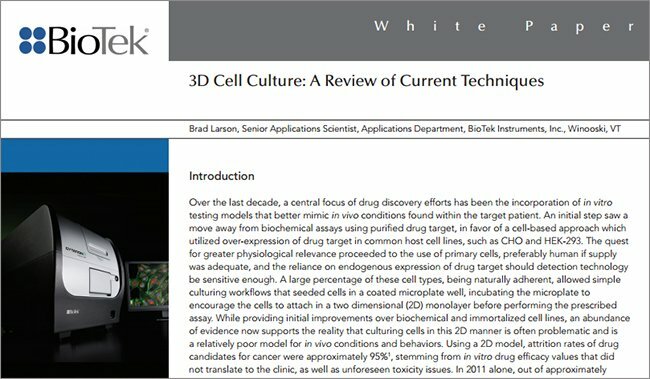 Recently developed 3D cell culture technologies, which have the ability to create spheroids from smaller cell numbers in high density microplates, can overcome the limitations of earlier methods while still providing the necessary environment for proper stem cell differentiation. Complete differentiation from multipotent hMSCs to final target lineages, such as chondrocytes, typically takes 14-28 days. 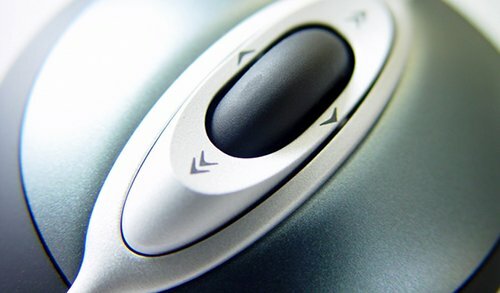 With media exchanges required every 2-3 days, a manual process is not only tedious, but when working with nonattached cells, increases the risk of accidental spheroid removal. Automating the processing steps and incorporating a 3D magnetic bioprinting method frees researchers to perform other tasks and increases repeatability with little to no risk of spheroid loss. In this method (Figure 1), cells are first incubated with a biocompatible magnetic nanoparticle assembly consisting of gold, iron oxide and poly-L-lysine, which magnetizes the cells without eliciting deleterious biological effect. The cells are then placed into a microplate well and levitated by placing a magnet above the well, where they aggregate and form extra-cellular matrix (ECM) within a few hours. After levitation, the magnet is removed, and the 3D aggregates are dissociated into a dispersed cell suspension of single cells and small cell aggregates by gentle pipetting action. Cells are then transferred to a 384-well assay plate and a spheroid magnet is positioned below the plate for an appropriate incubation period, allowing the cells within each well to be patterned into a spheroid configuration. The magnetized spheroid can be held intact during regular media exchanges. Figure 1. 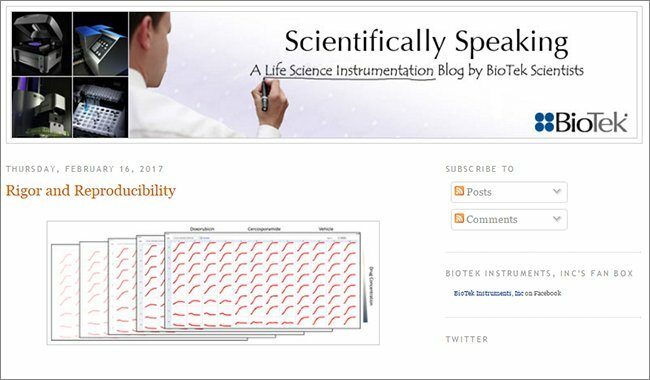 BiO Assay Kit protocol. 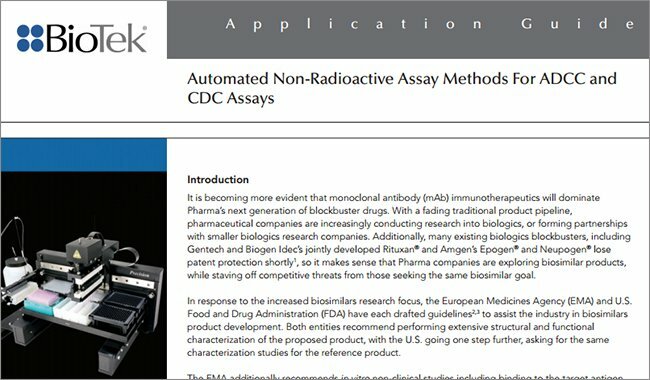 The 384-Well BiO Assay Kit uses the NanoShuttle-PL nanoparticle assembly to magnetize cells. After incubation, cells are detached, resuspended in a cell-repellent plate, and magnetically levitated to aggregate and induce ECM. After breaking up the aggregates, single cells are transferred to a 384-well cell-repellent plate placed atop a 384-well magnet, where they are printed at the well bottom. 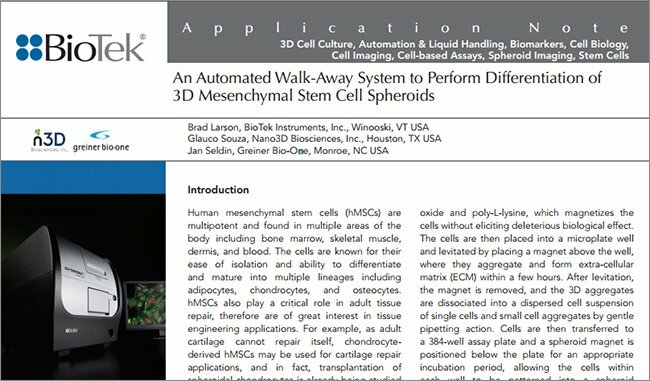 Here we demonstrate the validation of a solution to perform automated chondrocyte differentiation from 3D hMSC spheroids, where all instrumentation was contained within a laminar flow hood. 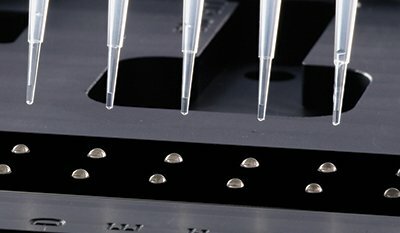 A combination washer/dispenser with magnetic plate adapter was used for media exchanges, while an automated incubator maintained proper microplate environmental conditions between exchanges. 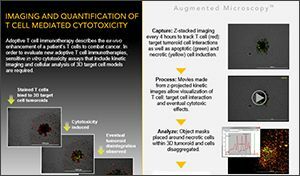 Label-free cellular imaging under environment control was performed following media exchanges to confirm maintenance of spheroids during processing. Immunofluorescence following differentiation confirmed the effectiveness of the system for use with critical stem cell differentiation. 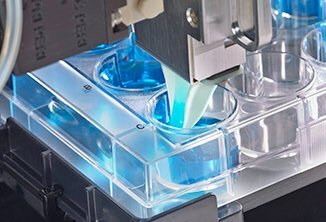 The combination of 3D magnetic bioprinting, automated liquid handling and incubation, and image-based analysis provides easy-to-use, robust methods to optimize hMSC spheroid creation and differentiation processes. Poietics™ Normal Human Bone Marrow Derived Mesenchymal Stem Cells (Catalog No. PT- 2501), Mesenchymal Stem Cell Growth Medium (MSCGM) BulletKit™ (Catalog No. PT-3001), and hMSC Chondrogenic BulletKit (Catalog No. 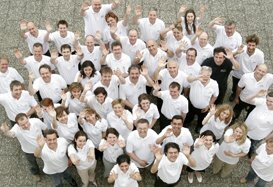 PT- 3003) were donated by Lonza (Basel, Switzerland). Goat anti-ITGB1/CD29 antibody (Catalog No. ED08199) was purchased from Everest (Oxfordshire, UK). Rabbit anti-CD44 monoclonal antibody [EPR1013Y] (Catalog No. ab51037), mouse anti-CD166 monoclonal antibody [8E12C7] (Catalog No. ab175428), rabbit anti-Collagen II polyclonal antibody (Catalog No. ab34712), donkey anti-goat IgG H&L (Alexa Fluor® 488) polyclonal antibody (Catalog No. ab150129), and donkey antirabbit IgG H&L (Alexa Fluor 647) polyclonal antibody (Catalog No. ab150075) were purchased from abcam (Cambridge, UK). Goat anti-mouse IgG H&L (Alexa Fluor 594) polyclonal antibody (Catalog No. A-11032) and Alexa Fluor 488 Phalloidin (Catalog No. A-12379) were purchased from ThermoFisher Scientific (Waltham, MA). Hoechst 33342 (Catalog No. 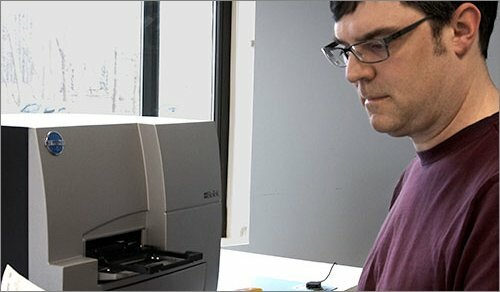 14533) was purchased from Sigma-Aldrich (Saint Louis, MO). 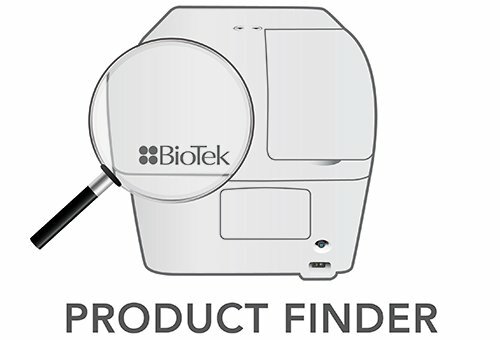 The 384-Well BiO Assay™ Kit (GBO Catalog No. 781846, consisting of 2 vials NanoShuttle™-PL, 6-Well Levitating Magnet Drive, 384-Well Spheroid and Holding Magnet Drives (2), 96-Well Deep Well Mixing Plate, 6-Well and 384-Well Clear Cell Repellent Surface Microplates), prototype 384-Well Ring Drive and additional Cell Repellent Surface 6-Well (GBO Catalog No. 657860), were generously donated by Nano3D Biosciences, Inc., (Houston, TX) and Greiner Bio-One, Inc., (Monroe, NC). 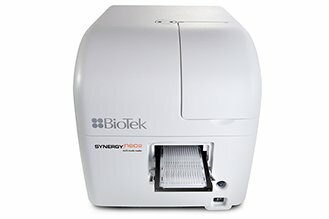 Cytation 5 is a modular multi-mode microplate reader combined with automated digital microscopy. 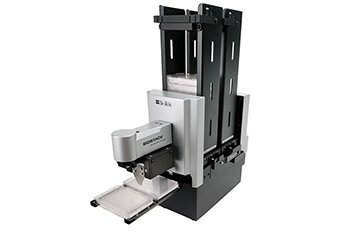 Filterand monochromator-based microplate reading are available, and the microscopy module provides up to 60x magnification in fluorescence, brightfield, color brightfield and phase contrast. The instrument can perform fluorescence imaging in up to four channels in a single step. 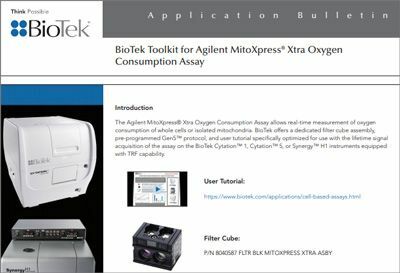 With special emphasis on live-cell assays, Cytation 5 features temperature control, CO2/O2 gas control and dual injectors for kinetic assays, and is controlled by integrated Gen5™ Microplate Reader and Imager Software. 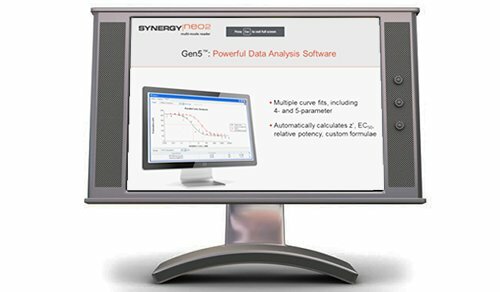 The software was also used for dual-masking and automated analyses. 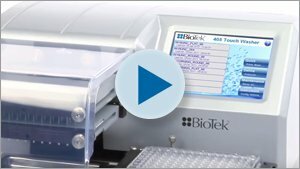 The BioSpa 8 Automated Incubator links BioTek readers or imagers together with washers and dispensers for full workflow automation of up to 8 microplates. 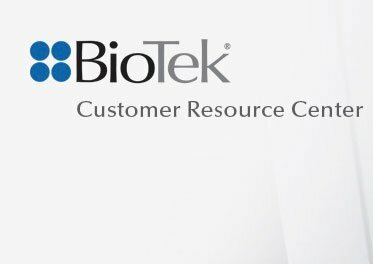 Temperature, CO2/O2 and humidity levels are controlled and monitored through the BioSpa software to maintain an ideal environment for cell cultures during all experimental stages. 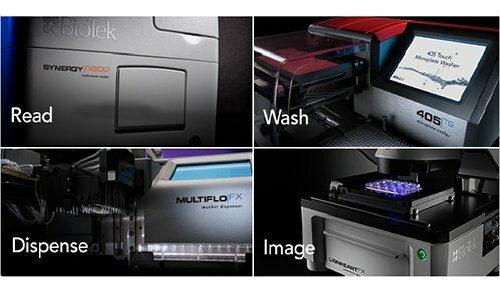 The EL406 offers fast, accurate media removal and plate washing capabilities through its Dual-Action™ Manifold. It also offers reagent dispensing capabilities through the use of its peristaltic or syringe pumps, with volumes ranging from 500 nL - 3000 μL/well. A specialized Magnet Adapter (Catalog No. 7182104) and 384-well Flat Magnet (Catalog No. 7103017) were used to secure placement of the 3D spheroids during media transfer steps. hMSCs were thawed from cryopreservation, resuspended in complete MSCGM medium, and dispensed into three separate T-75 flasks at a concentration of 5000 cells/cm2, per the vendor’s recommended protocol. 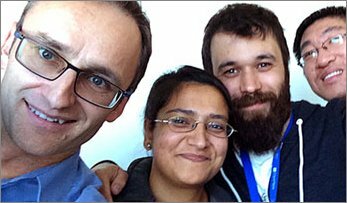 Cells propagated in the flasks for seven days while the cells reached a confluency of 80%. A 600 μL volume of NanoShuttle-PL was then added to each flask and incubated overnight. 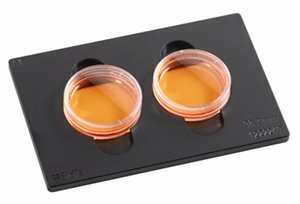 Cells were removed from the flasks and added to the 6-well cell repellent plate at a concentration of 1.2x106 cells/mL in a volume of 2 mL/ well. A 6-well magnet drive was placed atop the plate to levitate the cells, where they aggregated and induced ECM formation during an eight-hour incubation at 37 ºC/5% CO2. After incubation, cells and ECM were broken up and resuspended. 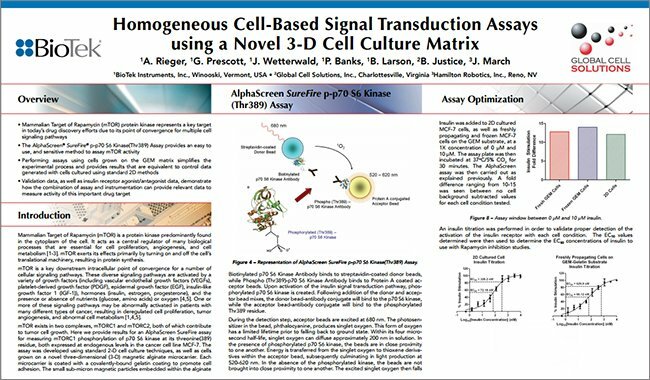 A total of 5000 cells were added to wells in a 384-well cell repellent microplate intended for 3D spheroid formation, while a total of 10,000 cells were added to wells in a 384-well cell culture microplate intended for 2D cell culture in a volume of 50 μL mesenchymal stem cell complete growth media. 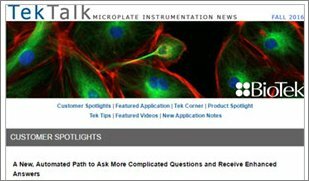 The process was replicated for a total of four microplates intended for each cell culture method. A magnet was placed under each 3D spheroid plate. All microplates were incubated at 37 °C/5% CO2 for approximately 48 hours to allow the 2D cells to attach to the microplate well bottom, and to allow the 3D cells to aggregate into spheroids within each well. Prior to initiating the differentiation process, immunofluorescent staining was performed on a subset of undifferentiated 3D cultured spheroids to confirm proper hMSC functionality via expression of common biomarker proteins using the procedure outlined in Table 1. Undifferentiated hMSC staining was also performed on 2D cultured cells using generally accepted staining methods. Expression of hMSC CD29, CD44, and CD166 surface antigen markers was assessed using the specific primary and secondary antibodies detailed in Table 2. Table 1. Spheroid Fixing and Staining Procedure. Table 2. Antigen Primary and Secondary Antibodies. After the 3D spheroids or 2D cultured cells were immunostained, they were imaged using a 20x or a 10x objective, respectively, using the fluorescence channels listed in Table 3. Table 3. Fluorescent probe and Cytation 5 imaging channel setup. After incubation to allow 2D cell attachment and 3D spheroid creation, the plates were placed into the BioSpa 8 at 37 °C/5% CO2 for up to twenty days during the differentiation period. The BioSpa 8 method was programmed such that plates were automatically moved to the EL406 on day 0 and every three days subsequent to replace the respective media. The EL406 was fitted with a specialized magnet adapter and 384-well flat magnet to secure the 3D spheroids during liquid handling. A one-minute resting period allowed the spheroids to magnetically secure at the well bottom, after which EL406’s aspirate pins removed 75% of the spent media from the wells of each microplate, and new growth media was added via the peripump to negative control wells for a total volume of 50 μL per well, while chondrocyte differentiation media was dispensed in the same manner to positive control wells. Following media exchange, the BioSpa 8 arm then automatically moved each plate from the EL406 to Cytation 5, where brightfield imaging was performed to confirm successful media exchange without loss of cells. The parameters listed in Table 4 were used to accurately focus on the hMSC spheroids and stitch together the montage tiles into a final image. Table 4. Cytation 5 imaging parameters. Expression of the collagen II protein, a prominent component of healthy cartilage6 and a validation of chondrocyte differentiation7, was determined using the antibodies in Table 5. Table 5. Collagen II Primary and Secondary Antibodies. Additionally, at Day 5, 10, 20, one microplate each containing 2D cells and 3D spheroids was removed from BioSpa 8, and fluorescent immunostaining per the aforementioned procedure was performed to detect collagen formation. 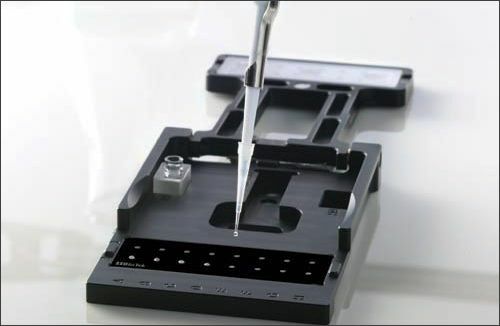 A placeholder microplate was substituted for each removed assay plate to maintain the robotic protocol. Proper hMSC function was validated by confirming the presence of commonly expressed surface antigen markers. As seen in Figure 2, fluorescent signals corresponding to CD29, CD44, and CD166 surface antigen markers were detected in 2D cultured cells and 3D cultured spheroids. Signal from bound primary and fluorescently labeled secondary antibodies appear as punctuate spots within each image, indicating distinct areas of antigen expression within 2D or 3D cultured cells. Figure 2. hMSC biomarker expression as imaged by Cytation 5. Arrows indicate immunofluorescence identification of protein expression to confirm proper cell function in (A) 2D cultured cells using 10x objective and; (B) 3D cultured spheroids using 20x objective. 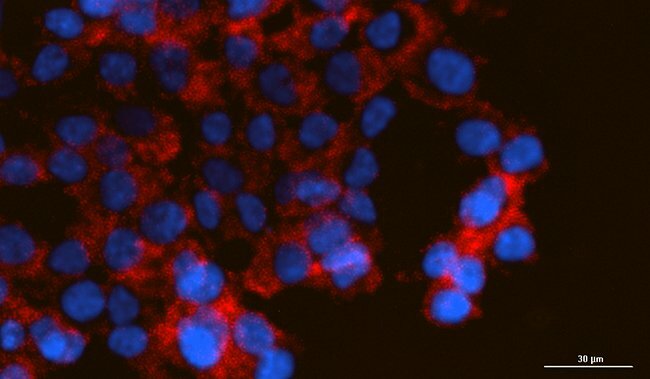 DAPI: Hoechst 33342 stained nuclei, GFP: CD29 expression, Texas Red: CD166 expression, CY5: CD44 expression. 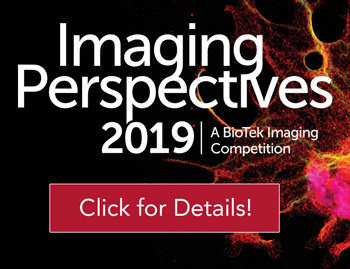 During designated media exchange periods, brightfield imaging was performed to confirm that cells and spheroids remained intact during the aspiration and dispense procedure. As seen in Figure 3A-C, 3D spheroids are confirmed to remain intact in the wells during media exchanges over the entire twenty-day incubation. The same can be said for 2D cultured cells up to 10 days of incubation (Figure 3D and E). However, after 10 days of culture in the plates, visible cell loss is witnessed following media exchange (Figure 3F). This observation confirms previous research findings that 2D cultured cells lose integrity, detach, and become non-viable following ten days of incubation8. Figure 3. Post-media exchange imaging validation. Day 5, Day 10 and Day 20 3x2 montage brightfield images captured using a 4x objective of (A-C) 3D spheroids; and (D-F) 2D cultured cells demonstrating visible cell loss starting at Day 10. Chondrocyte differentiation in 2D cultured cells was then examined by comparing cells cultured in differentiation media to those remaining undifferentiated in growth media. Per Figure 4, initial chondrocyte differentiation (Figure 4D) is seen within five days of incubation, and rapidly peaks at ten days (Figure 4E), compared to no differentiation in cells cultured in growth media (Figure 4A-C). After ten days, loss of viability occurs in all 2D cultured cells; and in the differentiated cells, the collagen II fluorescent probe is leached into the surrounding media (Figure 4F). This confirms the limitations associated with incorporating 2D differentiated hMSCs in long-term studies. Figure 4. 2D cultured hMSC chondrocyte differentiation over time. Day 5, Day 10 and Day 20 images of (A-C) undifferentiated cells; and (D-F) differentiated cells, captured using 10x objective. DAPI: Hoechst 33342 stained nuclei, GFP: AlexaFluor 488 phalloidin stained actin filaments, CY5: Collagen II expression. In the same manner, chondrocyte differentiation in 3D cultured spheroids was examined by comparing spheroids cultured in differentiation media to those remaining undifferentiated in growth media. Per Figures 5A-C, no discernible collagen expression is seen in undifferentiated spheroids, while a steady increase in collagen expression over time is seen in differentiated spheroids (Figures 5D-F). This confirms the suitability of 3D cultured and differentiated hMSC spheroids for long-term studies. Additionally, the differentiated spheroid images were overlaid at individual z-planes (Figure 6) to improve image clarity and enable quantification of differentiation. Figure 5. 3D cultured hMSC spheroid chondrocyte differentiation over time. Day 5, Day 10 and Day 20 images of (A-C) undifferentiated spheroids; and (D-F) differentiated spheroids, captured using 20x objective. DAPI: Hoechst 33342 stained nuclei, GFP: AlexaFluor 488 phalloidin stained actin filaments, CY5: Collagen II expression. Figure 6. Z-stacking and projection of 3D spheroid images. (A-C) Images captured at individual z-planes. (D) Final z-projected image of chondrocyte differentiated hMSC spheroid. Arrows indicate nuclei, collagen and protein expression. DAPI: Hoechst 33342 stained nuclei, GFP: AlexaFluor 488 phalloidin stained actin filaments, CY5: Collagen II expression. 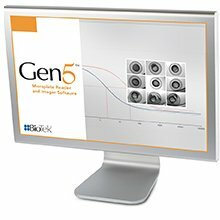 Using the z-stacked image, Gen5 software automatically pre-processed the samples to remove excess background signal and prepare the image for quantitative analysis. Primary cellular analysis criteria were applied to place an object mask around the entire spheroid. Secondary analysis criteria were then used to automatically mask areas within the spheroid where the CY5 signal from collagen II antibody labeling was greater than background threshold levels as indicated by the arrows in Figure 7. Figure 7. Automated dual-mask analysis, with primary mask placed around the entire spheroid, and secondary mask placed around discontinuous areas of increased CY5 signal. The percent of CY5 area coverage, indicating greater differentiation and collage II expression can then be calculated as a ratio of the secondary mask to the primary mask, expressed as a percentage. The final percentage values in Figure 8 indicate a significant increase in collagen II production in chondrocyte differentiated hMSC spheroids compared to undifferentiated hMSC spheroids, thus validating that 3D cultured hMSC spheroids can be successfully differentiated into chondrocytes. Figure 8. Change in CY5 signal compared to background threshold over time. The 384-Well BiO Assay Kit and NanoShuttle-PL particles manufactured by nano3D Biosciences, combined with Greiner Bio-One Cell-Repellent Surface 6-Well and 384- Well Microplates, provide a simple and robust method to create biomimetic hMSC spheroids. 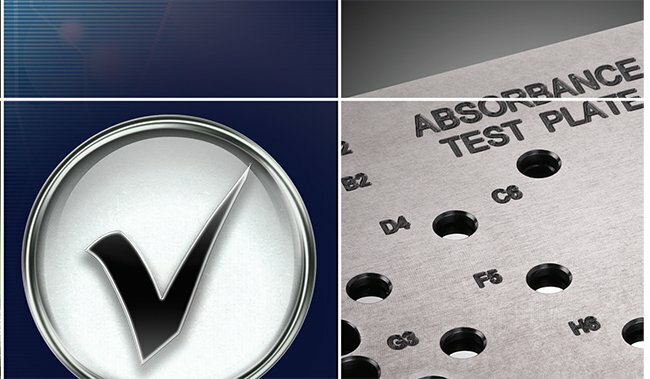 Through incorporation of the BioSpa™ 8 and magnetic adapter on the EL406™, the differentiation process can be automated to simplify and increase the repeatability of included procedures. 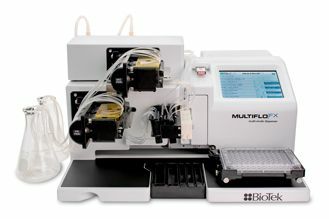 Automation and differentiation confirmation can then be performed using brightfield and fluorescent imaging with the Cytation™ 5. The combination provides a proven method to carryout differentiation of 3D cultured stem cells. 1. Körsmeier, K.; Claßen, T.; Kamminga, M.; Rekowski, J.; Jäger, M.; Landgraeber, S. Arthroscopic three-dimensional autologous chondrocyte transplantation using spheroids for the treatment of full-thickness cartilage defects of the hip joint. Knee Surg Sports Traumatol Arthrosc. 2016, 24(6), 2032–2037. 2. Park, E.; Patel, A.N. Changes in the expression pattern of mesenchymal and pluripotent markers in human adipose-derived stem cells. Cell Biol Int. 2010, 34, 979–984. 3. Baer, P.C. ; Griesche, N.; Luttmann, W.; Schubert, R.; Luttmann, A.; Geiger H. Human adipose-derived mesenchymal stem cells in vitro: evaluation of an optimal expansion medium preserving stemness. Cytotherapy. 2010, 12, 96–106. 4. Chang, C.H. ; Lin, H.Y. ; Fang, H.W. ; Loo, S.T. ; Hung, S.C.; Ho, Y.C. ; Chen, C.C. ; Lin, F.H. ; Liu, H.C. Chondrogenesis from immortalized human mesenchymal stem cells: comparison between collagen gel and pellet culture methods. Artif Organs. 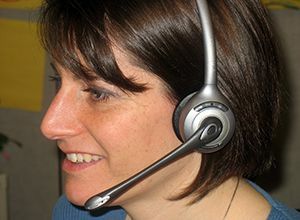 2008, 32(7), 561-566. 5. Ahrens, P.B. ; Solursh, M.; Reiter, R.S. Stage-related capacity for limb chondrogenesis in cell culture. Dev Biol. 1977, 60(1), 69–82. 6. Yoon, H.J. ; Kim, S.B. ; Somaiya, D.; Noh, M.J.; Choi, K.; Lim, C.; Lee, H.; Lee, Y.; Yi, Y.; Lee, K.H. Type II collagen and glycosaminoglycan expression induction in primary human chondrocyte by TGF-β1. BMC Musculoskelet Disord. 2015, 16(141), 1-12. 7. Bhang, S.H. ; Jeon, J.Y. ; La, W.G. ; Seong, J.Y. ; Hwang, J.W. ; Ryu, S.E. ; Kim, B.S. Enhanced chondrogenic marker expression of human mesenchymal stem cells by interaction with both TGF-β3 and hyaluronic acid. Biotechnol Appl Biochem. 2011, 58(4), 271-276. 8. Maguire, T.; Novik, E. Methods in Bioengineering: Alternative Technologies to Animal Testing; Artech House methods in bioengineering series; Artech House: Boston, MA, 2010.